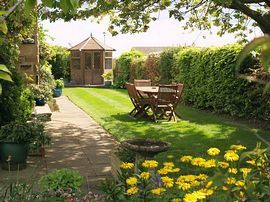 Ground floor rooms, set in beautiful gardens. Quite location with ample parking. 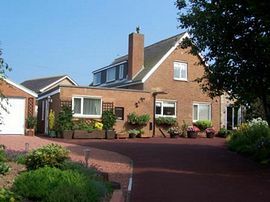 Morwick House offers 4 star quality accommodation in the historic village of Warkworth near Alnwick on the beautiful Northumbrian coast. 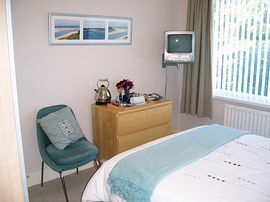 We have two double bedrooms and one twin bedded room, all of our rooms are on the ground floor and have en-suite shower rooms, hospitality tray, hairdryer and TV with DVD. There are also a selection of DVD's, books, maps and magazines available for guests to borrow. 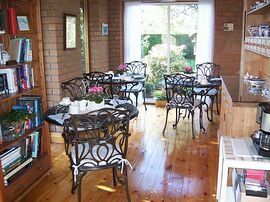 Breakfast is served in our lovely garden room with individual tables for your privacy. With fresh fruit, including strawberries and raspberries from our own garden, when in season, cereals, fruit juice and luxury yoghurts to start, then a choice of full Northumbrian breakfast, continental breakfast or our famous Craster Kippers, followed by brown or white toast with home made jam. Children over 12 years are welcome, I'm sorry we cannot accommodate younger children. With ample private parking, we are just two minutes walk from the Medieval Warkworth Castle and just a 5 minute walk from the centre of the village, where there are many places to eat and drink. £32.00 - £35.00 per person per night. 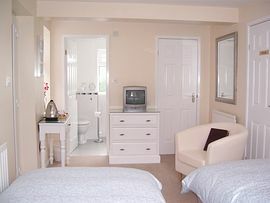 £45.00 - £50.00 for single occupancy. Open all year - closed 18th December - 4th January 2008. Bus stop at top of Beal Bank, turn onto Morwick road. We are second house on left at start of Morwick Road. Alnmouth station is 7mins drive away. From the coastal route turn left at the top of Beal Bank. Take the next left at the bend in the road. We are the second house on the left.